This beautiful photosynthetic gorgonian originated from Julian Sprung’s infamous reef tank in his Florida home. 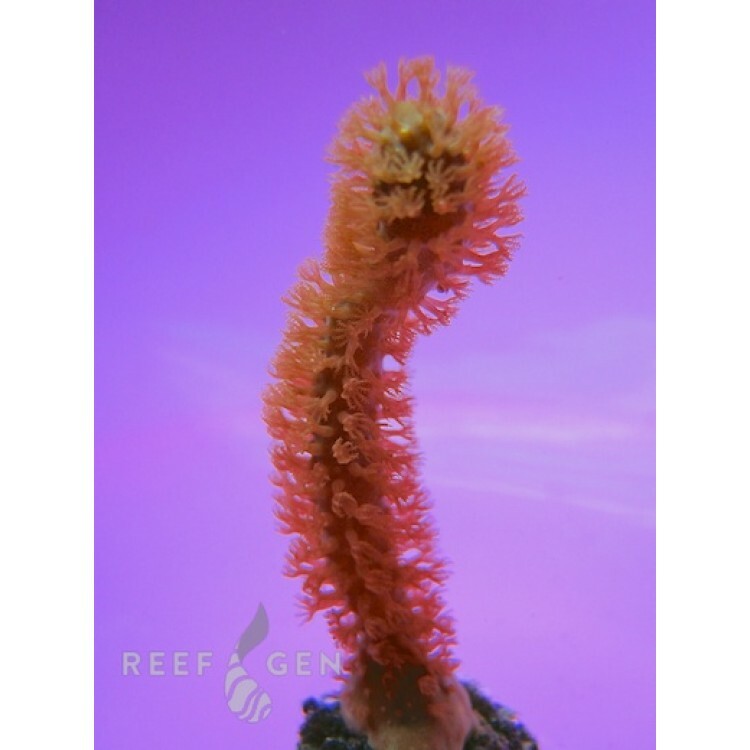 Joe recieved a frag of this gorgonian as a gift many years ago and after lots of TLC, it has blossomed into a colony that adorns Joe's 20,000g reef tank. Golden gorgonians are thinner gorgonians that feature short branches with compact polyps. They prefer medium to high light and flow. Their color can range from a deeper brown to a bright yellow depending on the tank conditions.